Sexual Harassment is on the rise in Egypt and has been a growing issue since several young women were assaulted and stripped of their clothing by a mob in downtown Cairo in 2006. According to a survey issued by the Egyptian Center for Women's Rights in 2008, 83% of Egyptian women and 98% of foreign women have experienced sexual harassment at least once. Shirin Badr, a marketing manager at a design company, is working on a campaign called "Be a Man," which she started after documenting incidences of harassment on the metro with her mobile phone and posting them on the internet. 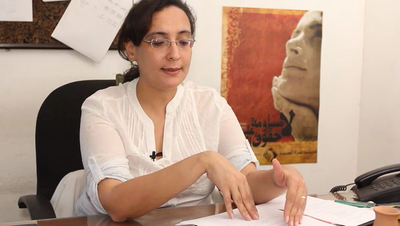 The campaign works to educate the Egyptian public and support women's rights. 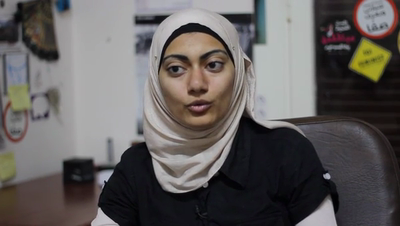 Sexual harassment has been dramatically on the rise in Egypt. It peaks during public holidays. 2006 marked the most horrific incident of harassment when several girls were brutally harassed and stripped of their clothes by a mob during Eid El-Fitr celebrations in downtown Cairo. The event played a major role in bringing the issue of harassment in Egypt to light. According to a survey issued in 2008 by the Egyptian Centre for Women's Rights, 83 per cent of women in Egypt and 98 percent of foreign women have been exposed to sexual harassment at least once. The complaints office at the National Council for Women has set up the hotline number 08-008-883-888 for receiving complaints about harassment during Eid al-Adha. A group of Egyptian's pages on Facebook express a mission for monitoring sexual harassment in the Metro, by sharing women's experiences with sexual harassment through photos and videos. My name is Shirin Badr, an Egyptian girl, and I work as the marketing manager at "Old Design" company. I also participated in "Yalla 3elm" website for long-distance education. Now I'm working on a campaign called "Be a Man." "Be a Man" started when I was facing problems at the Metro station. I started taking the women's compartment, but of course there was no security so we had men in the compartment as well. So I started filming the compartment and broadcast the videos on Facebook and Twitter. The campaign was very effective. Once I got a call from a man telling me that I exposed his brother, and that he is afraid of going out and that he shaved his hair. The man was very supportive toward me and he told me that he is glad of what I did to his brother. The next step was that I tried to get a man out of the compartment, but he refused so I started recording, using my cell phone camera. The result was that he hit me and the women in the compartment asked me to shut my mouth. I tried to stop the Metro and take him to the police, while women at the Metro helped him to run away. From there, "Be a Man" started and more people wanted to participate in the campaign. As a team we started putting stickers in the women's compartments with the slogans, "Women's compartment, be aware of theft." This was all in vain...the security officers were embarrassed so they started to check the Metro compartments for an hour or two in one or two stations, but what about the rest of the day? What about the other stations? Besides the campaign we started to work on another issue, sexual harassment. We began to go down to the street and talk to people about sexual harassment and its causes, cooperating with other movements who also work on the same issue. Recently we decided to sue both the Interior and the Transportation Minsters for the violations in the Metro. So we contacted some of the Metro employees who have papers that confirm the security breaches in the Metro, but they're absolutely afraid of talking about it because they tried to complain four times, and their complaints were neglected. For everybody who wants to participate with us in this campaign, they can contact the lawyer Muhammad Othman Ahmad Othman, and he will work according to people complaints. I am glad for what we've reached. Now I see a girl in the Metro asking men to get out of women's compartment, and some women said that they don't want to get in the women's compartment because of women recording men in the compartment. The negativity is infectious and the positivity as well. We need this infection. Because the lack of security causes sexual harassment and theft, and this is not civilized at all. When the Metro was invested in by a French company it was clean, well organized, and always on time. Now if you see a security man he will be smoking a cigarette in the compartment. A friend of mine was in the Metro and there was a security officer and a man in the women's compartment. She tried to get the man out of the compartment, but the security officer hit her, dragged her, and kicked her. This is a disaster! As for the sexual harassment, there are many reasons, but some people say that it's because of what girls wear. How about Saudi Arabia, the country with the third highest number of sexual harassment incidents, where women are all veiled and decent? They blame the victim and give the criminal tens of excuses. The last major incident was in Assiut with Sahar, the girl who got shot because she refused to be sexually harassed. Our law is old, and a sexual predator forces girls to be armed. Two weeks ago a boy harassed a girl, and she took a knife out of her purse and cut him. This is a disaster. People should do something and girls should talk. We should educate our sons that these girls are your sisters, and you have to protect them. As Egypt's Constituent Assembly moves closer to completing the long-awaited constitutional draft, concerns are being raised regarding articles dealing with the status and rights of women. Some commentators predict a reduction in women's rights from those guaranteed in the 1971 constitution, whilst others suggest there will be little change. Some women fear that even if their rights are protected by the new constitution, an Islamist-dominated state would find ways to violate women's rights them in practice. Niveen Ebieed explains the ongoing discussions between women's rights organizations and the Constituent Committee for the writing of the new constitution.